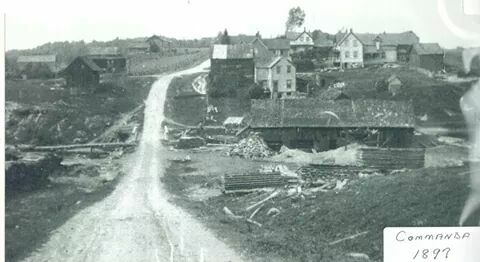 These are early photo's of Commanda looking south toward the direction of the future hwy 522, from the top of Carr's Hill on Old Nipissing/ Rosseau Colonization Road. 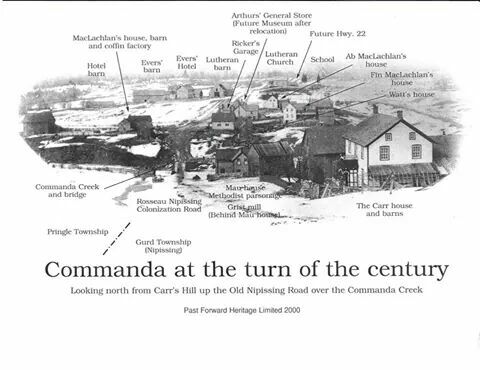 The village of Commanda was situated on both sides of Commanda Creek where it crosses the Old Nipissing Road. 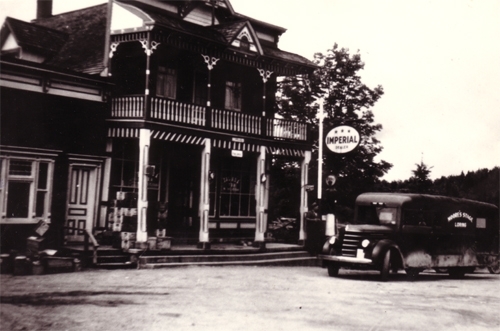 The photo shows the original General Store location before being relocated to its present site. 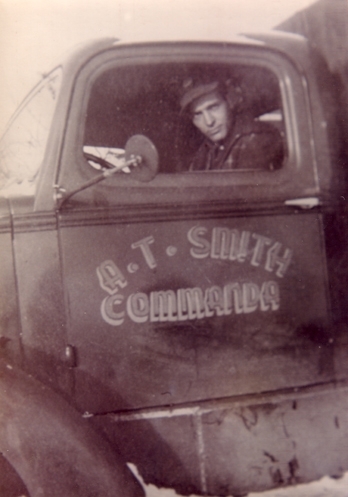 The original settlement road to Trout Creek ran along an old Indian Trail north of present hwy 522 which became the old Barrett Settlement road. 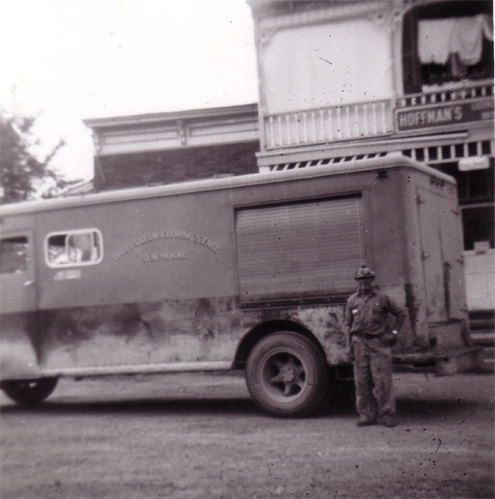 There were many establishments in Commanda, including a Hotel with Barn, Coffin Factory, Garage, Lutheran Church and a school house, not to mention a flour mill as well. 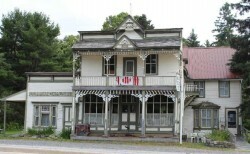 The General Store was later sectioned into four parts and pulled across the terrain on rollers, by horses, to its present location in 1933, and re-built. 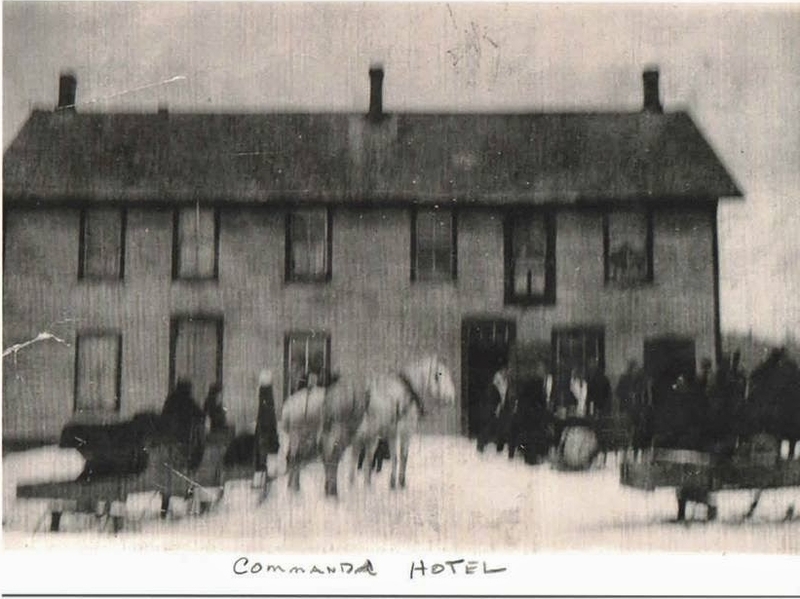 Across from the present General Store location, was the Commanda/Evers Hotel.